Summer will be here before you know it and electricity rates are continuing to climb. Quite frankly, we are also very concerned about rising energy bills. While there are energy-efficient A/C systems that homeowners can invest in to cut down on cooling costs, let’s admit it—not everyone can upgrade to the latest cooling technology. HVAC equipment is known for being expensive. But with these cost-cutting tips, you should be able to keep your energy bills low and your comfort levels high. 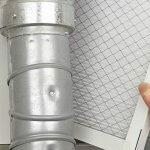 We have always reminded you that clean filters, vents and ducts help your air conditioning system perform efficiently. As your HVAC system draws air in and over its coils, it also pulls in the accompanying dust, dirt, and debris. If left to build up, the system will have to work harder to pull air through the system. Additionally, the pollen, dust, and other contaminants can create an unhealthy indoor environment. You don’t want suffering and medical costs for your family or household. By frequently changing your air filter, vacuuming around vents/registers, and remembering to schedule bi-annual professional maintenance, the A/C won’t need to use more electricity to cool your home. And your indoor air will be healthier! Lessen the amount of heat-emitting appliances in the room(s) cooled by your air conditioning system. 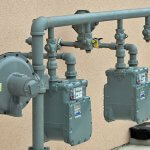 If you can keep these appliances away from where your A/C system is installed, that will also help. Remember, anything plugged into your outlets are still drawing power even when they are turned off. This slow but steady energy loss is sometimes referred to as “vampire energy,” “phantom loads” or “leaking electricity.” You can reduce heat and electricity costs by going around your home and unplugging anything you aren’t using. So you don’t have to individually unplug items, another solution is to plug items into a surge protector/power strip and turn them off when not in use. To keep the cool air inside and prevent solar heat from getting in, you should consider installing solar screens, shades, blinds, drapes/curtains, and shutters. Solar screens or mesh screens and are popular for their ability to reduce solar heat gain by 70-90%. They are especially useful for windows that receive a lot of sun, usually facing the east or the west. Like other screens it can also keep the insects out of your home even if your windows are open. They can be installed on the interior or exterior, in fixed panels or roller shades. There are other ways to block UV rays and solar heat, including shades, blinds, drapes, shutters, awnings, and window films. Learn more about energy-efficient window attachments. Your thermostat setting contributes on your electricity consumption. Try to keep your thermostat at 78°F or as high as comfortably possible while you are home and in need of cooling. Raise the setting to around 85°F before you leave. Do NOT turn your HVAC system off when you leave, especially if you will be away for an extended period of time. Ensure healthy humidity and temperature levels for your home by setting the thermostat no lower than 55°F in the winter and no higher than 90°F in the summer. A programmable or smart thermostat can make it easy to improve your setback savings. Many models also come with apps that allow you to control the thermostat from anywhere, whether from another country or your couch. 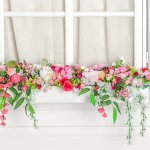 We may be familiar with the beauty and air cleaning benefits of houseplants, but did you know they can also help keep your home cool? Houseplants are a great green way to intercept solar heat, consume hot air, and release moisture into a warm room. Use this list of air-purifying houseplants from NASA for plants that will keep you cool and clean the air. Also, if you shade your outdoor heat pump with trees or bushes, you can increase its efficiency by up to 10 percent according to the US Department of Energy. According to the US Department of Energy, a ceiling fan allows you to raise the thermostat setting about 4°F with no reduction in comfort. But before you run to the nearest appliance store, please note that you don’t need industrial fans. Regular residential ceiling fans will do just fine. 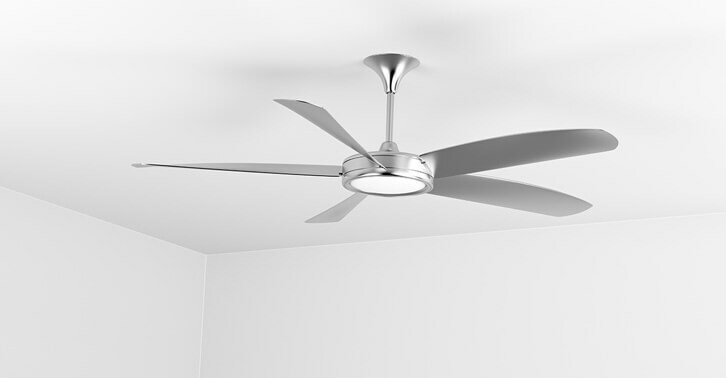 Learn how to choose the right ceiling fan. Also, make sure you are only running fans in rooms that are occupied. Leaving a fan on in an unused room won’t cool the room one degree. In fact, the fan motor might be contributing to the room’s heat. Remember, fans cool people down through the windchill effect, not because they are actually lowering the temperature of the air. The kitchen is one of the parts of your home where heat is emitted. You can lessen the amount of indoor heat when cooking or using your microwave by installing and using a kitchen exhaust. An exhaust is also great for bathrooms especially when you use your water heater during bath time. It will not only lessen the heat in the room but also reduce moisture and keep the humidity at a comfortable level. HVAC stands for heating, ventilation, and air conditioning. It’s important to exchange stale indoor air with fresh outdoor air. Learn about balanced ventilation. Last but not the least, it’s extremely important that your air conditioning system is regularly maintained and repaired or replaced when it is no longer working properly. Old air conditioning units will only require more energy to operate. Like a car, the longer you neglect repairs and maintenance, the worse it will get. Sign up for a Maintenance Plan so you never have to remember to schedule annual HVAC tune-ups again. We hope that you loved our tips on reducing air conditioning costs. Contact us today for our tune-up special! Service Champions is known for trustworthy, on-time home service throughout the East Bay, South Bay, and Sacramento areas. Contact us today for our tune-up special!